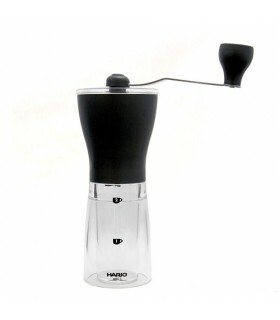 The elegantly designed Hario V60 Drip Coffee Decanter combines beautiful design with functional ergonomics. 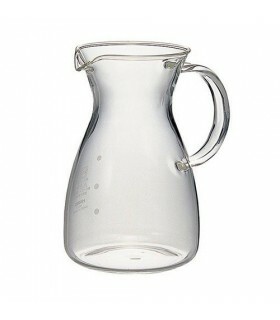 Perfect for drip coffee brewing it also works great with the Hario V60 Ceramic Drippers. 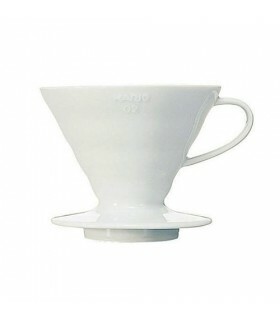 The Hario V60 Coffee Decanter allows you to directly brew coffee using the V60 dripper and paper filters. When the brewing is complete you can remove the plastic V60 dripper, which holds the filter paper and the used coffee grounds and you have a stylish decanter with a rubber silicon grip collar to serve your delicious coffee from. 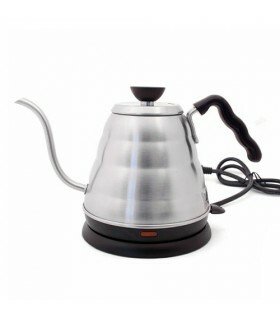 A great way to brew quality V60 coffee for 2 people or more. Use a ratio of 60g freshly ground coffee for 1 litre of water. 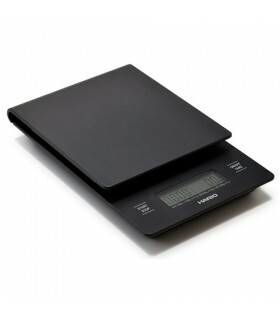 If your making coffee for one person, then most cups will be about 300ml so you will need about 18g of coffee. Grind the coffee courser than espresso like sand. 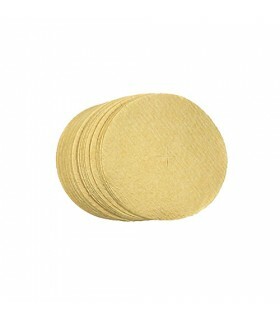 Place the filter paper in the V60 Dripper and pour some water over the filter paper to rinse. Key things needed are: A Hario V60 Dripper, V60 Filter Papers, Fresh delicious coffee roasted less than 30 days ago, Hand or electric burr grinder and a kettle.